1. The Forever Song by Julie Kagawa - I LOOOOVE the Blood Of Eden series, and after that massive, HUMONGOUS cliffhanger ending in The Eternity Cure, I'm dying to get my hands on The Forever Song! Oh, and I'm dying to finally see the cover to. Most anticipated book of 2014! 2. 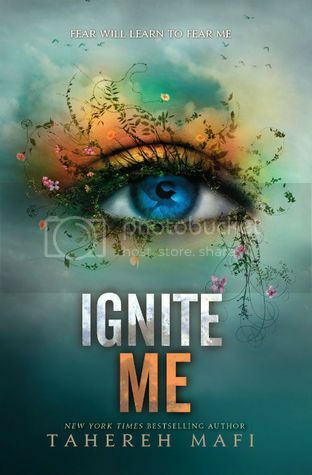 Ignite Me by Tahereh Mafi - Ummm, hello?? Who ISN'T dying to get their hands on this book?! This is another of my most favorite series, and I can't wait to get my hands on this book. GAH! 3. City of Heavenly Fire by Cassandra Clare - I'm both anxious and dreading the release of this book! If you keep up with Cassandra Clare any at all, you will know exactly what I'm talking about. Plus I'm curious to see what's going to happen next to some of my favorite characters. 4. Isla and the Happily Ever After by Stephanie Perkins - I'm really, really, really hoping that this book will for sure be relased in 2014. They keep changing the release dates, so I have no idea when we might actually see it. I NEED THIS BOOK! 5. 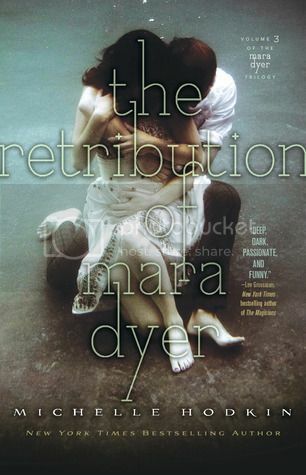 The Retribution of Mara Dyer by Michelle Hodkin - This is another book that the release date keeps changing! I Want This Book In My Hands. NOW! 6. Dorothy Must Die by Danielle Paige - This book sounds like it's going to be really freaking great! I know a lot of people are excited to read it when it's released. Yay! 7. Three by Kristen Simmons - I really love the Article 5 series! February is not going to get here soon enough! I want it NOW! 8. Panic by Lauren Oliver - I loooooove Lauren Oliver! And I'm super excited to read this book! Luckily, I managed to get my hands on an advanced copy, so I don't have to wait to read it. Whoot! 10. 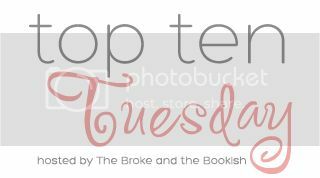 Breakable by Tammara Webber - OMG, I loved Easy! It was such a great read. I can't wait to read Lucas' story! So that's a few 2014 Releases I am Dying to Read! So very excited for all of these books. ISLA is one of mine, too! I'm with you. It's been pushed too many times. I think the date is real this time! And yes, agreed, Mara Dyer! These books that keep changing!! DOROTHY MUST DIE sounds so unique! As long as it doesn't turn into a Zombie-esque bloodbath, I'm in. Yes, I want PANIC...and ROOMS, too! More Lauren Oliver, please! I've never read anything by Amy Plum but After the End does look fascinating. I'll need to read it just to get answers to the questions raised by the blurb. Dorthy Must Die looks soooo good. I first heard about it when I did the Oz month on my blog. I really think it could be an epic book! I'm really looking forward to THE FOREVER SONG as well. The ending of the second book was just evil! I would do unspeakable things for The Retribution of Mara Dyer, Isla and the Happily Ever After, and Ignite Me. I want them so badly, but unfortunately (at least in the case of Ignite Me and Mara Dyer) there aren't any ARCs. I guess I just have to wait, but it hurts. 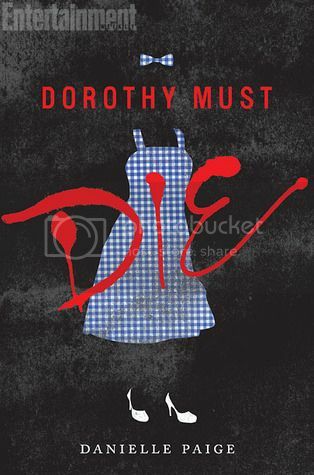 I am so excited for Dorothy Must Die! And Amy Plum's almost made my list as well! I didn't know about Breakable, but that just got me super excited! So glad to get Lucas' story! And I wanted to add Isla and Mara Dyer, but I'm too scared the release date will change again! Fingers crossed that it doesn't! Great List! Excited for 2014! I am so happy to see The Forever Song on your list too Christy, so far I haven't seen it on anyone's list, the way that The Eternity Cure ended I am just dying to get my hands on it. I also can't wait to read Ignite Me and Isla and the Happily Ever After. Brilliant list! Great choices. I can't wait for Ignite Me & Cress. I'd add Into the Still Blue and Panic, but I have ARCs of those. I need to get caught up on the Mortal Instruments series. I've read the first four but haven't read the latest one. Maybe I'll wait till the new one is published and read them back to back! YESYESYES! The Forever Song...Dorothy Must Die...and so many more! I want them all NOW so I can sit on them and horde them much like a dragon and her gold. Isla and Mara are both on my list as well. I can't wait to read Mara, especially after that cliffhanger ending. Great list! I haven't read Easy but Breakable looks awesome, Thanks for sharing! IGNITE ME, ISLA, RETRIBUTION: grabby hands! I need The Retribution of Mara Dyer in my hands like now. Oh I forgot about Breakable. I want to say I'm really excited for it because I LOVED Easy, but part of me is kind of over reading the story from the male POV. Is that really terrible of me to say? I love Tammara Webber, but I'm nervous! Panic is on my list too! And the 3rd Mara book - good call! Isla, Dorothy Must Die, and After the End are on my list, too. And everyone has Ignite Me on their list and I'm sitting here going, "WHY haven't I read Shatter Me yet? I own it!" Yeah, must read that one soon. Great list! I really need to start reading Article 5 and catch up! Must move that up my TBR list.